TiePie engineering is the first oscilloscope manufacturer to implement SureConnect technology. While measuring, the revolutionary SureConnect technology checks in real time whether a test probe is in physical and electrical contact with the test subject. SureConnect is the right option for every engineer for performing quick and perfect measurements. SureConnect is available by default on the Automotive scope ATS610004D-XMSG and Automotive scope ATS5004D. Assuring a good connection of a probe with a test subject may not always be easy. The subject under measurement may be dirty, oxidized or an (invisible) protective layer may be present. Also, the test subject may be hidden, making visible contact confirmation impossible. As can be seen in the SureConnect video, capacitive coupling between test probe and test subject can result in measuring a distorted version of the actual signal, wrongly suggesting a connection. SureConnect however immediately shows you whether a good connection is present. 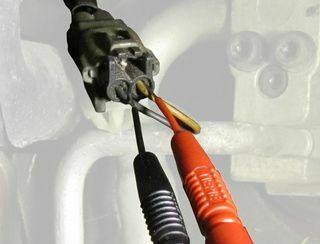 SureConnect, revolutionary real-time probe connection verification while measuring.